Opportunities and challenges for a company, teams and individuals. 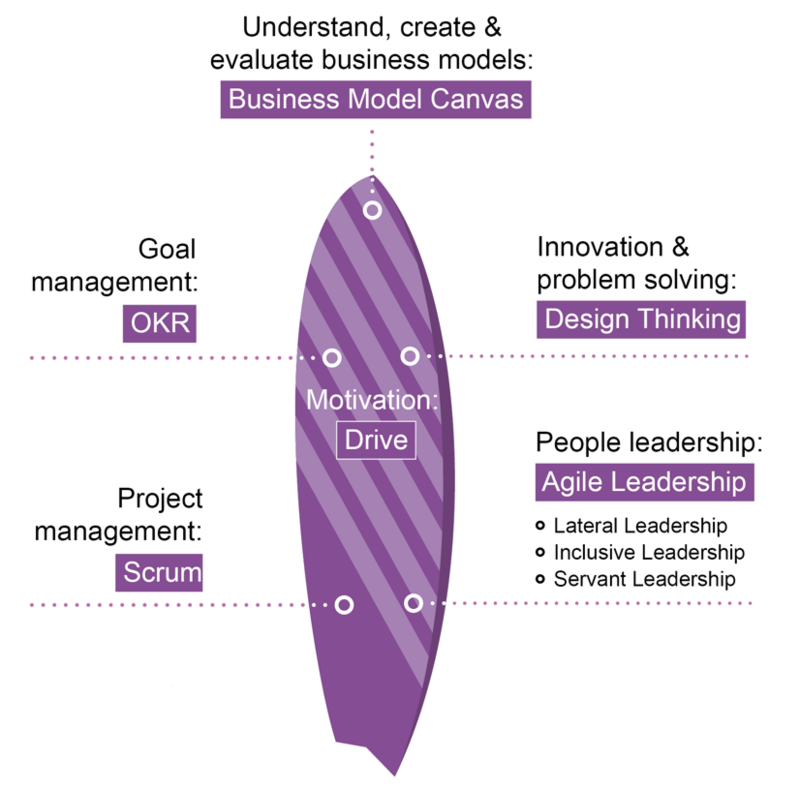 Understand, analyze and evaluate agile business models and strategies! The business model canvas enables you to analyze strategies and business models of individual departments. As well, it is ideal to explain existing structures of a business model, parts of a company and to critically question them and potentially design the structures from scratch. Our offer: Impulsworkshop I One and two-day training I Target group: Leaders, who purposefully question and evaluate the existing structures and business models and potentially want to redesign them. As hierarchies become flatter and collaboration structures become more complex, the classic hierarchical structure within a company will fade into the background. Commitment strategies and leadership at eye level will become more and more important. Gunther Fürstberger, CEO of MDI, helped develop the commitment gameboard and the Yin-Yang communication style analysis as key tools of lateral leadership. The original workshop after Daniel H. Pink! What is it that motivates me, my team or my organization? According to Daniel H. Pink’s success concept, it is the human need to determine our own lives, to learn and create new things and to improve our quality of life and our world. In the context of the company, there is a set of different approaches and ideas, in order harmonize the personal and entrepreneurial fulfilment of meaning. Those approachs support you as well to place work tasks in such way that they increase engagement.